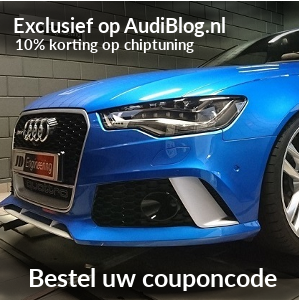 Hij is live, de dikste vetste Audi RS6 van dit moment, mer ruim 950 pk!!! Jon Olsson zijn Audi RS6 DTM. Hier zijn de eerste pics. I have always loved the crazy wide body style of the DTM cars and its been a dream to build a similar car for the road, but I also need a car that has enough space to carry all my ski gear to the slopes, so the decision was made to see what we could do with an Audi RS6. So I called Leif Tufvesson at Caresto (former cheif engineer at Koenigsegg) and asked him if he was up for the task. We spent months trying to figure out how we could adapt the DTM look on a street going stationwagon. I think what we came up with was great and I could not be more happy with it, even if it took about 4 months longer than planned as we kept improving all the details over and over, but everything had to be pefect! I even ordered 100 meters of special 4X4 carbon fiber from the same factory that delivers the carbon to Pagani. Its all in the details! But I could not have an extrem looking car that could not back it up with the same level of performace. So the car was shipped to Stertman Motorsport with one request, make this thing as extreme as you can, but I still want to be able to drive this every day to the ski slopes. If Stertman Motorsport was not as good as they are I would have been a little worried that they went a little too crazy with it. The car now has a STM Stage 3+ kit including super custom 18 karat gold anodized TTE9XX turbo chargers from The Turbo Engineers that should be good for 950hp on pump gas, so with a little race gas we could push the 1000 mark. Since this is untested territory on the new RS6 we will just have to wait and see what kind of numbers we will actually reach, but either way I am sure it will be enough as the stock car was a beast! The car was also fitted with a custom Black Titan suspension from Intrax and the biggest brake kit that Movit has for the RS6, and of course a super mega race exhaust kit from Milltek Sport so nothing, absolutely nothing has been spared on this car! Can’t thank Mattias, Tony and Jimmy enough for their endless work to make this happen! As you all know I like ski boxes on my cars, but I have never had one that I’ve loved, so when 56Nord was started I was quick to jump onboard and work with them. Now I have a piece of art on my roof instead of a regular plastic box! I only had one instruction to Thomas from 56Nord and that was that I need a box that can carry the biggest powder skis that exists, I was not interested in something pretty that does not work. They ended up delivering a super slim design that somhow loads a million times more stuff than it looks! So now I am ready to go where ever I need to go with all the gear I need! I spent about a million hours to design the car and as usual Andreas at Wrapzone delivered to notch work and made it look identical to my renderings working late nights to get it ready for yesterdays shoot! I also want to thank Audi and Betsafe for suporting me in my crazy projects, its just awesome to work with companies that are not afraid to think outside the box and back crazy things like this! Now all we need to do is take this out and see what it’s made of but if it’s not the fastest crazy looking daily driver RS6 in the world I am very disappointed! 😉 Expect some crazy videos in the next couple of weeks! Hope you guys like it! Make sure to check out all the pics HERE! Thanks to Oskar Bakke for killing it as usual!